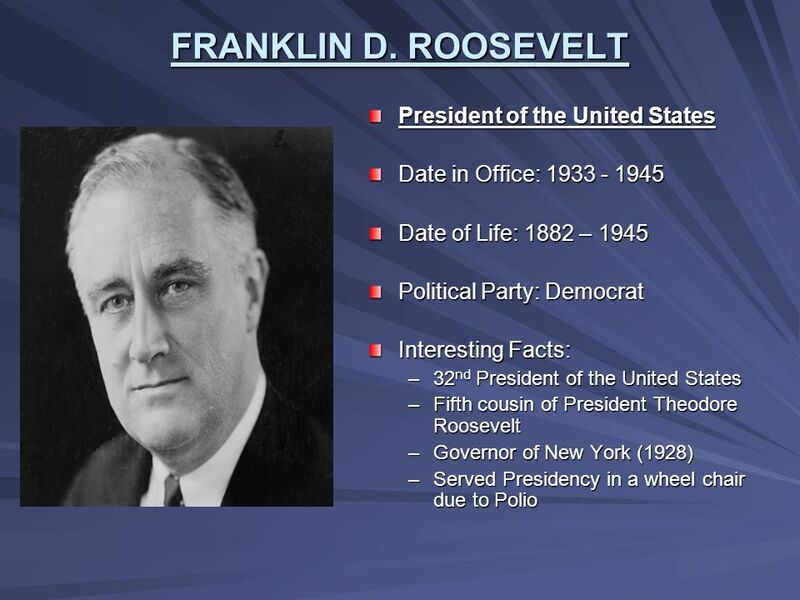 WITH INFORMATION ABOUT THE WORLD LEADERS DURING WORLD WAR II. 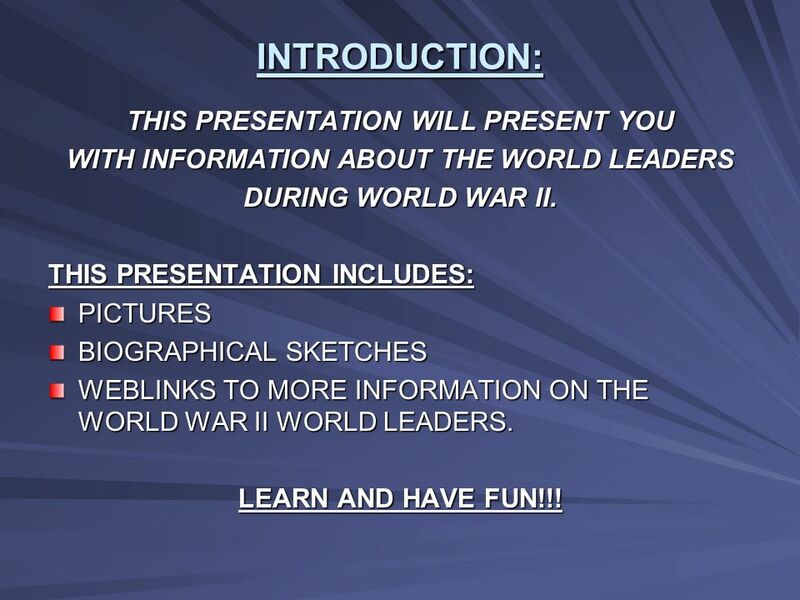 THIS PRESENTATION INCLUDES: PICTURES BIOGRAPHICAL SKETCHES WEBLINKS TO MORE INFORMATION ON THE WORLD WAR II WORLD LEADERS. LEARN AND HAVE FUN!!! 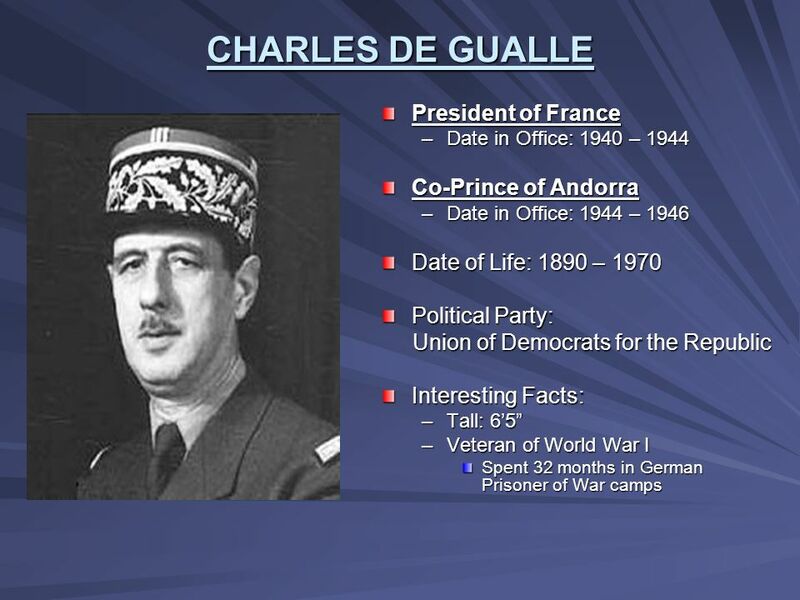 Download ppt "WORLD WAR II: WORLD LEADERS"
World War II Looms What do you know??. 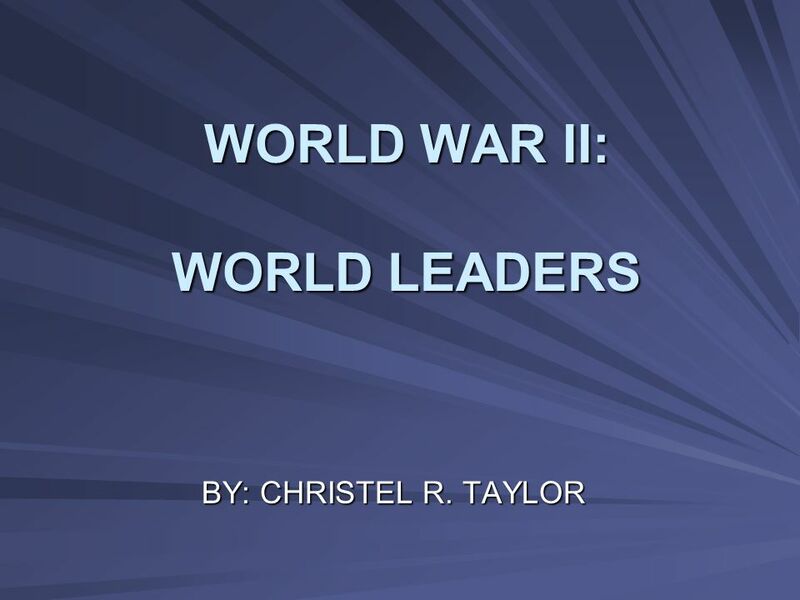 Identify the leader of each of the following countries during World War II. 1. The United States 2. Germany 3. Whos Who in WWII By Vera Lucksted Metro Charter Academy. People of World War II. 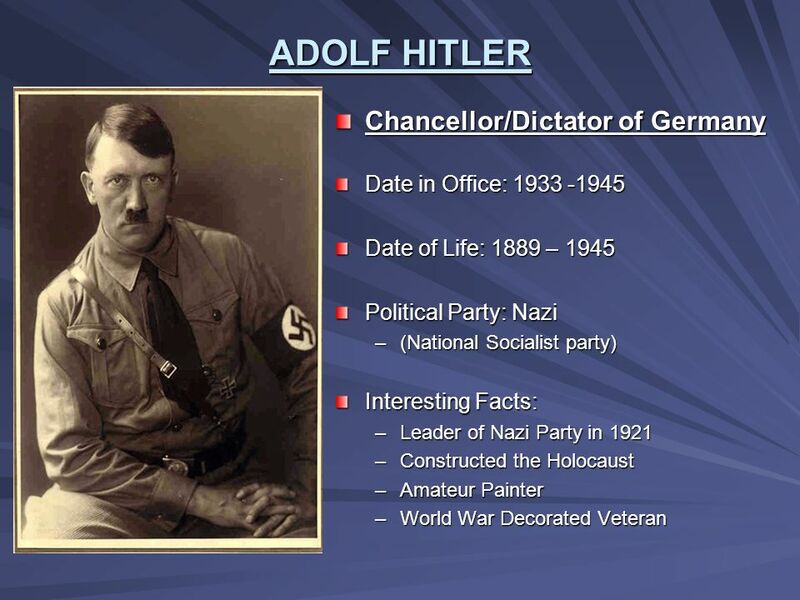 Adolph Hitler Leader of the Nazi party, elected Chancellor of Germany in 1933 and proclaimed himself Fuhrer leader. WWII in a nut shell. 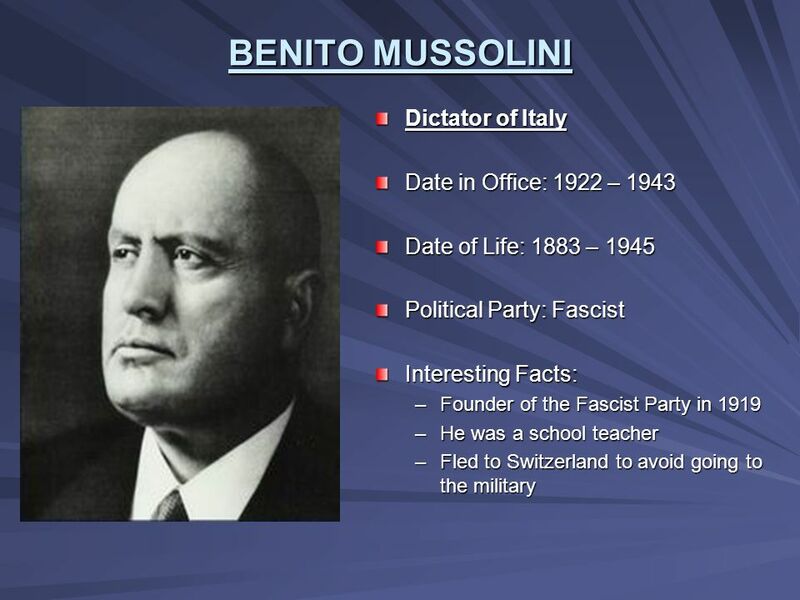 Economic and political Causes: WW II Aggression by Germany, Italy, Japan Nationalism Failures of Treaty of Versailles Weakness of. Leaders $100 $200 $300 $400 $500 Battles $100 $200 $300 $400 $500 A-Bomb $100 $200 $300 $400 $500 Home Front $100 $200 $300 $400 $500 Holocaust $100 $200. 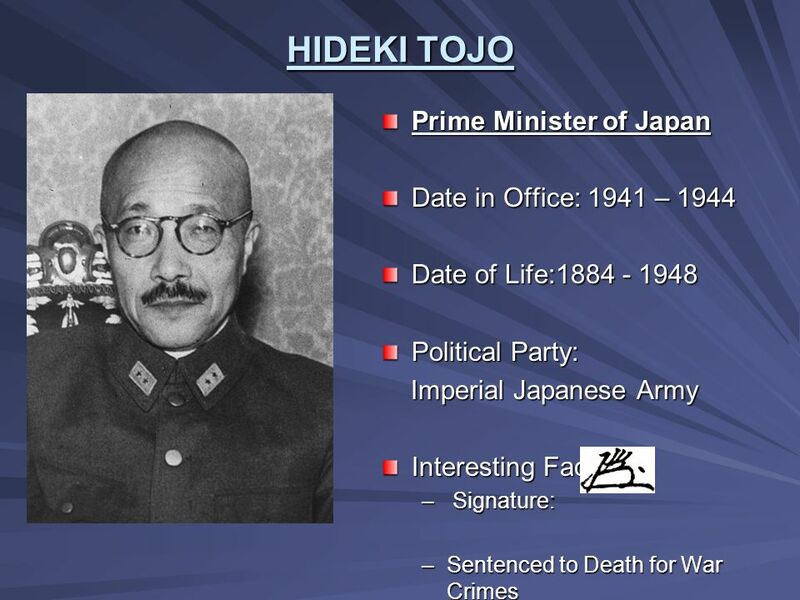 Historical Figures World War II and Beyond. 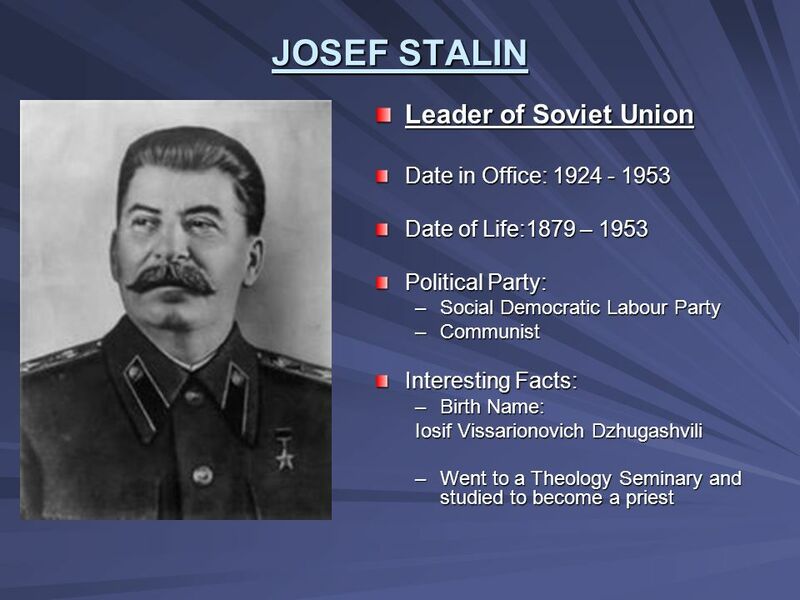 Josef Stalin Russian leader who took over after death of Lenin. Ruled Russia as a totalitarian dictator through. 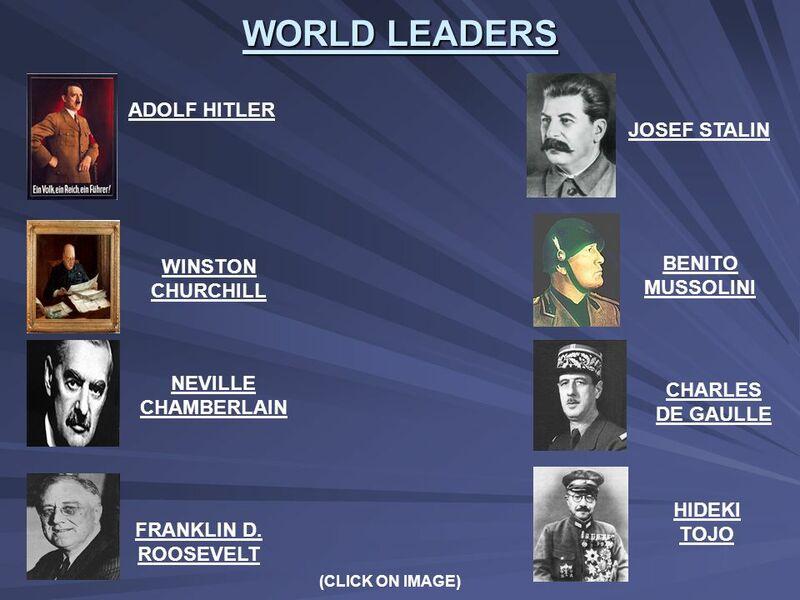 WOLD WAR II LEADERS. BY RILEY.L. 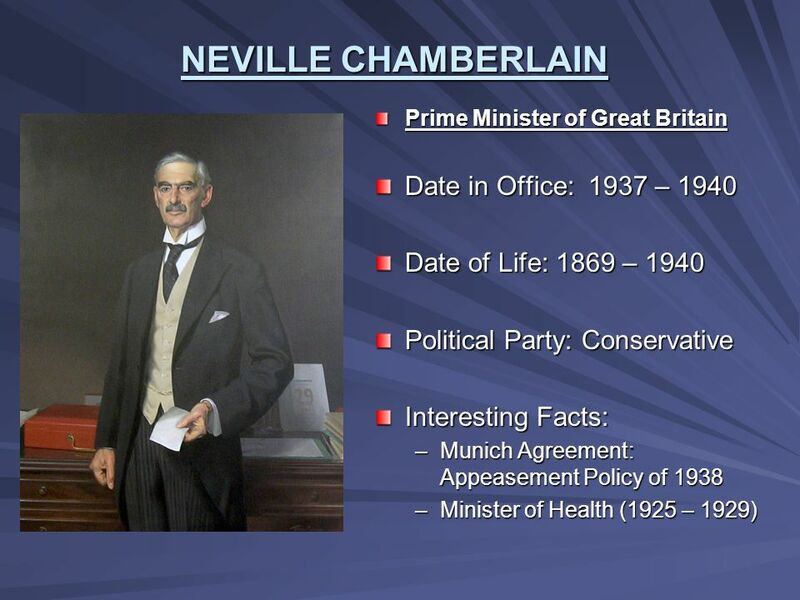 AIR RAID SIREN NEVILLE CHAMBERLAIN. 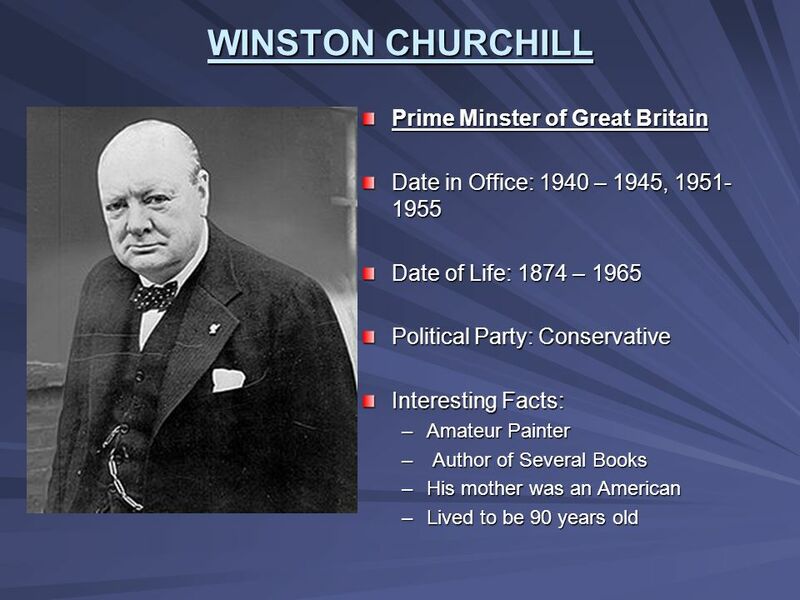 He was born in March 18th, 1869, Birmingham. SPEECHSPEECH He died in November 9. WW II People. Hitler Appointed Chancellor of Germany author of Mein Kampf Seen as the “Savior” to the German problems after WW I A Fascist. The Road to War.  Benito Mussolini  Adolf Hitler  Neville Chamberlain  Winston Churchill  Charles de Gaulle  Franklin Roosevelt  Task #1: Identify. World War Two: Why did it happen? WWII Leaders A WWII Game created by: The National WWII Museum Instructions: 1.Click on the question you want to answer 2.Click the Answer button to reveal. WORLD WAR II WHAT IT WAS LIKE!!!!!!!!!!!. 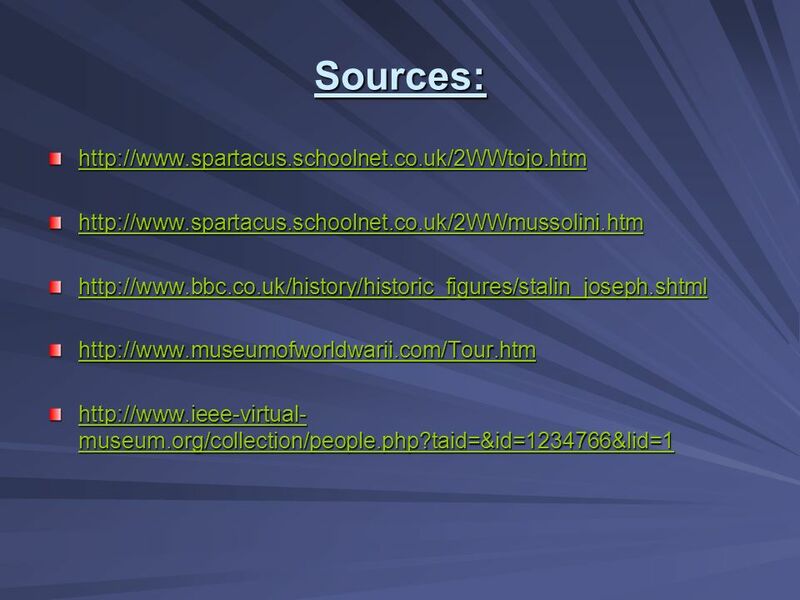 Slide 3: Key Battles Slide 4: Key Figures Slide 5: Pearl Harbour Slide 6: American Army Groups Slide 7: Weapons.